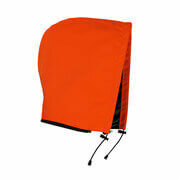 MASCOT manufactures many different kinds of hoods for jackets that fit the jackets in the assortment. They are available in many different fabric qualities, colours and with different properties. Hoods for jackets are especially useful in windy weather since they keep the cold and the wind out, where especially the neck is exposed. They keep you warm around the face and ensure that no cold air blows down your neck and back. At the same time, hoods for jackets are particularly useful in rain where they prevent you from getting wet and ensure that you stay warm all day. You can get hoods for jackets that are lined with insulating materials, which will be convenient for those cold days. 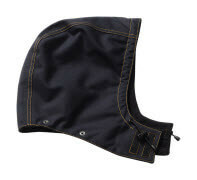 Similar hoods are available without lining. These are especially useful on days when it is not that cold, but the weather is fickle, and it might be necessary to keep out the rain. 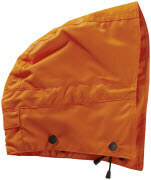 Hoods for jackets are available in all the various jacket colours. This also applies to the fluorescent colours, which provide extra security, especially if you work on exposed sites near busy roads. The hoods are attached with concealed press studs, and they have drawstrings, which can be adjusted so the hood fits you and your face.